If the brain’s normal electrical activity is disrupted, it can cause grand mal seizures or tonic-clonic seizures. During seizures, nerve cells in the brain send abnormal electrical and chemical signals across different cells through brain synapses. According to Mayo Clinic website, grand mal seizures, in general, are caused by abnormal, rhythmic neuron (nerve cell) activity within the brain. Attacks of grand mal seizures are characterized by muscle rigidity, convulsions, and loss of consciousness. Alcohol withdrawal symptoms usually begin very fast and in some reported cases; people have been seen having health issues just after 2 hours from their last drink and continued for weeks. Alcohol withdrawal symptoms can range from mild anxiety or trembling to seizures and delirium tremens (DT). Alcohol withdrawal symptoms can be very dangerous, so it’s very important to get medical help even when the symptoms are not that serious. the seizure activity in any manner. 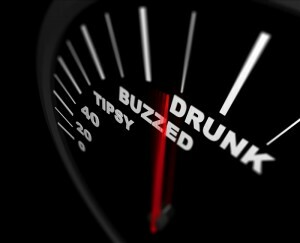 But if you are a chronic drinker or have a history of alcohol abuse, then even small amounts can accelerate your seizure activity. It is the same case if your seizures are related with alcohol abuse in the past. Drinking over a limited amount of alcohol in 24 hours increases the risk of having seizures. It has been seen that the highest risk of having a seizure is when the alcohol you intake is leaving your body. This risk is usually higher in between 7 to 23 hours after you’ve stopped drinking. Drinking alcohol can severely affect your body when you are already taking epilepsy medicines. It can cause more seizures. Also, alcohol when mingled with anti-epileptic drugs can put you to more side-effects. 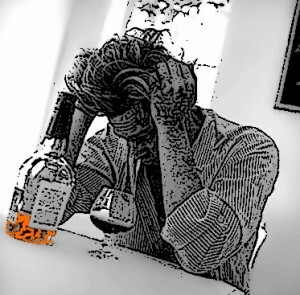 When a person ingests alcohol, there will be suppression in the brain’s ability to produce noradrenaline, a neurotransmitter, since alcohol is a type of chemical depressant that depresses the Central Nervous System (CNS). Whether binge drinking of alcohol or continued regular consumption of alcohol, it both can lead seizures. 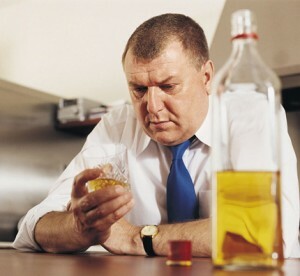 Alcohol abuse is very dangerous, especially during the physical withdrawal symptoms. When a regular alcohol drinker or a binge alcohol drinker suddenly stops consuming alcohol, the brain may be affected and lead that person into grand mal seizures. function normally. As tolerance builds up, the tendency is that more alcohol will be consumed to obtain the same wanted effect that took place before. When there will be no or lesser amounts of alcohol consumption of alcohol, that is when withdrawal symptoms may occur, due to a drop of the blood alcohol levels. For chronic alcohol drinkers, several alcohol withdrawal may cause seizures within 24 hours to 48 hours after his or her last alcohol consumption. Grand mal seizure in alcoholics occur due to the Central Nervous System (CNS) is so depressed due to the excessive alcohol consumption that it can cause rebound activity when alcohol is reduced or removed from the system. The said rebound activity is the one that can cause grand mal seizures. If you are worried on your drinking problems and find it difficult to cope up with but needs a solution, talk to your family doctor about it. He can be your best guidance and can help you find people or support group who can help you quit drinking or reduce the amount of alcohol that you intake.